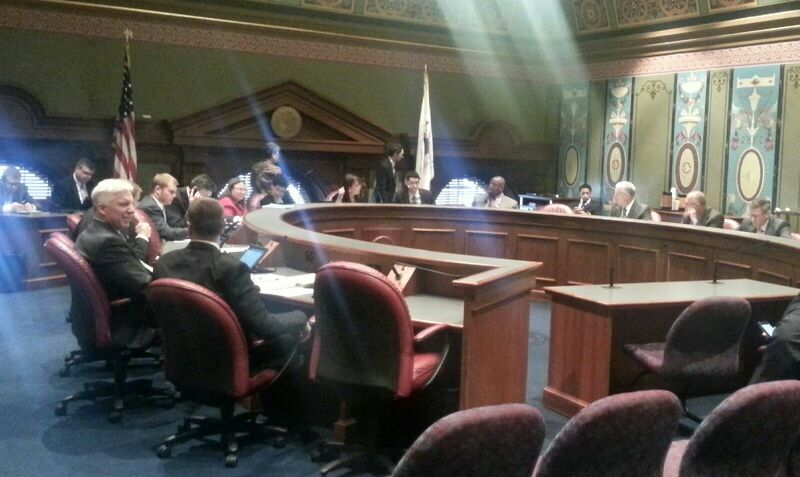 The ICS just finished it’s testimony before the Senate Licensed Activities and Pensions committee and is proud to announce that SB1229 passed unanimously, which will ultimately clarify our doctors’ ability to initiate medically prescribed diets. Medically Prescribed Diet: when specific food or nutrient levels need to be monitored, altered, or both as a component of a treatment program for an individual whose health status is impaired or at risk due to disease or injury. Previously, this was not allowed due to exclusionary language within the Dietitian Nutritionist Act, but once SB1229 clears both chambers we will have removed that barrier in nearly all cases. Yesterday, HJR21 passed Transportation committee to designate the section of Illinois Route 97 beginning at the intersection of Veterans Parkway in Springfield and ending at the intersection of County Highway 12 in Menard County as the John “Doc” Davidson Memorial Highway. Doc Davidson passed away last year at the age of 87. It is a memorial fitting of a man who served his country, his State, and his profession so faithfully for so many years. See the ICS Memorial here. As mentioned in my last blog post, SB622 passed both houses and has most recently been signed by the Governor. This means that all DC’s, MD’s, and DO’s will be seeing a licensure fee increase in the next renewal cycle. 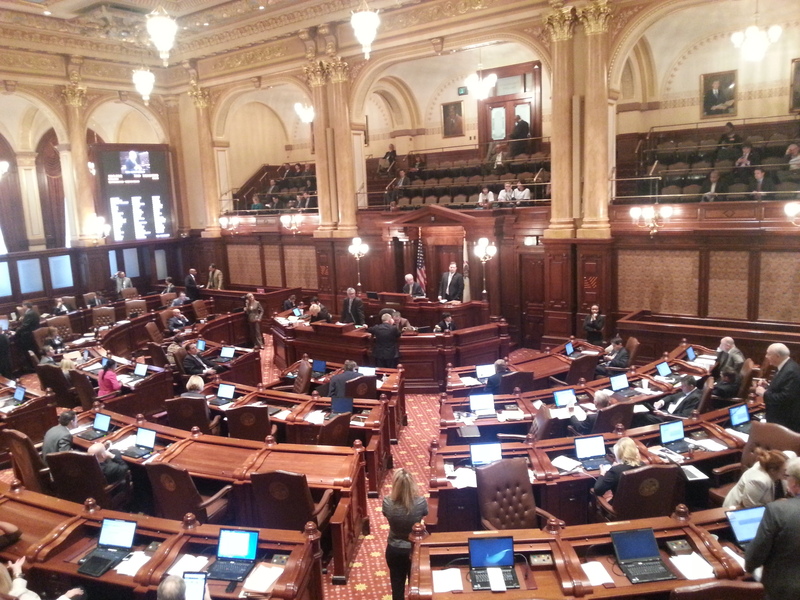 This week marked the introduction deadline for all the bills for the 2013 Legislative Session. This year there were 5,822 bills introduced; four of which were ICS initiatives. Senate Bill 1754 attempts to tackle co-payments that take up a majority or entirety of our doctor’s allowed billable amounts. Senator Sam McCann first started helping us with this issue last year and we hope to see floor action on this measure this legislative session. The situation we want to address is as follows. A doc charges $60 for a chiropractic adjustment. Let’s say the reduced billable amount is $40. The insurance company also has a $40 copay. In this instance, the insurance company is stating that it has “chiropractic coverage” yet due to the billable amount and the copay, the insurance company never actually pays anything. Our end goal is to have a 50% copay cap (based on the billable) so that in this instance the insurance copay cannot be more than $20. Senate Bill 1229 corrects an issue where Chiropractic Physicians are prohibited from initiating or consulting with Dietitians or Nutritionists with regards to medically prescribed diets. We have been systematically removing opposition from this bill and hope to have agreed language in the coming weeks. Senator Iris Martinez (sponsor of our previous OTC and Oxygen bill) has agreed to carry this issue for us. Ensure multiple reductions are broken out individually so you can easily see what was due to copay, coinsurance, deductibles, administrative fees, and reductions. Clearly stated reasons for denials. The items and amounts shown to the patient (EoB), must match those sent to the doctor (remittance advice). An insurer must not issue an EoB claiming a payment has been made unless it truly has been made. Much of this was brought to our attention when the ICS conducted their study for the CoPay legislation. It was often impossible to determine how much of a bill was discounted for copays versus any other type of discount.